Millennials are upending conventional wisdom for horticulture retailers and growers. Last year’s strategies are no longer as effective as they once were with baby boomers, making horticulture one of the fastest declining industries in the U.S.. In order to remedy this decline, Lowes and Costa Farms (the largest producer of ornamental plants in the world) set out to change the way people think about the Indoor Plant Category. While Costa Farms and Lowes were no stranger to retail and product innovation, there was a recognized need to begin with a deeper engagement with the next generation of customers. Their objective was to create a new customer strategy, an innovation platform for growth, and a corresponding retail experience that would raise engagement and sales with current and future customers. 3. Innovation Platform that would seed new product, marketing, and retail initiatives for future growth—all while fulfilling the Lowes promise: “Love where you live”. Many times market researchers are too quick to design studies that generate short term sales insights, and miss out on opportunities to engage their customer long term. This study deliberately began with social insights in order to gain a deeper understanding of the lifestyles of plant owners of all kinds. The research included both a quantitative and qualitative lens. The qualitative research included social listening, 24 in-home ethnographies and shop alongs across three key markets, as well as key stakeholder interviews at Costa Farms and Lowes. The quantitative research included multiple surveys that represented a broad national view as well as a focused millennial perspective. From these insights, five new segments, a comprehensive customer strategy, and a new retail experience would emerge. 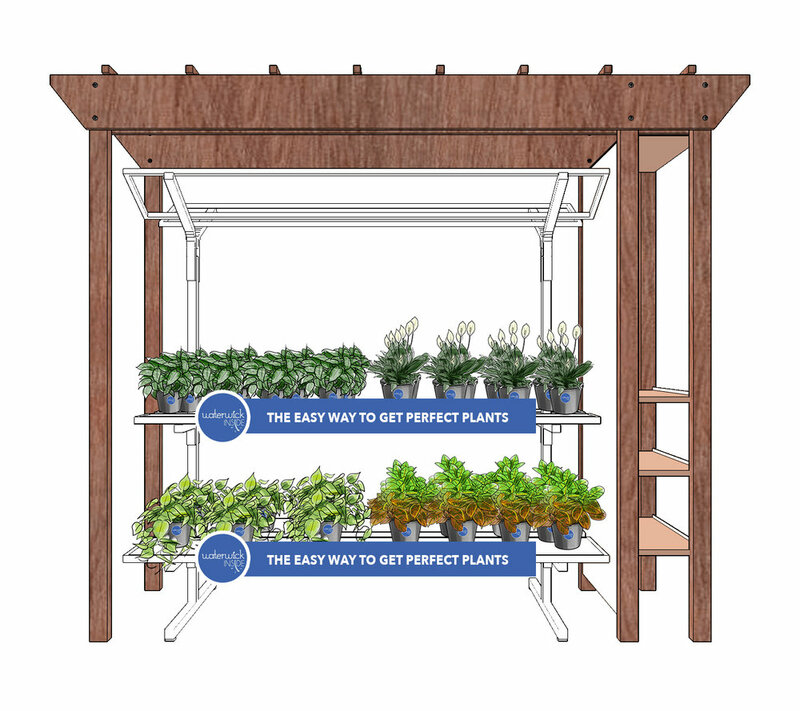 This mixture of social and market insights led to several eye opening views into the connections between people and their plants, and would later prove to be priceless insights for the design of a new retail experience. From family connections, to healthy living, to identities linked with exploration and beauty, it was clear that the Lowes approach to messaging and marketing was missing a huge opportunity to connect with the needs of these new emerging personas. Our research and strategy teams wasted no time in identifying the segments that showed the most promise for growth. We created full scale journey map strategies for each persona that identified the entrants and experiences throughout their journey that offered the most ownable positions and highest returns. These insights would also inform a simplified brand architecture that would match each segment to the new retail experience as well as new products and digital experiences. Each component of the customer strategy was supported by qualitative and quantitative research to give Lowes and Costa the confidence they needed to begin thinking differently about their customers and their retail offering. Although there were commonalities between millennials and baby boomers such as their shared fear of killing a plant, there were also stark contrasts that design had to account for. Incorporating a sense of ownership and pride from beginning to end, messaging that was both educational, versatile, and stylish, as well as interactive experiences both physically and digitally, were just a few of these key drivers in the customer strategy—each linked to their respective persona and growth strategy. A more clear positioning and architecture from the customer strategy helped us design a much improved selection process and generated more cross-selling opportunities. Finally, the verbal and visual messaging had to be simple. There were too many overlooked opportunities that needed to be addressed to avoid the large number of inherent fears and, subsequently, abandoned purchases. Using the visual power of 3D walkthroughs and prototyping, our strong design plus a positioning strategy for each persona was a hit! 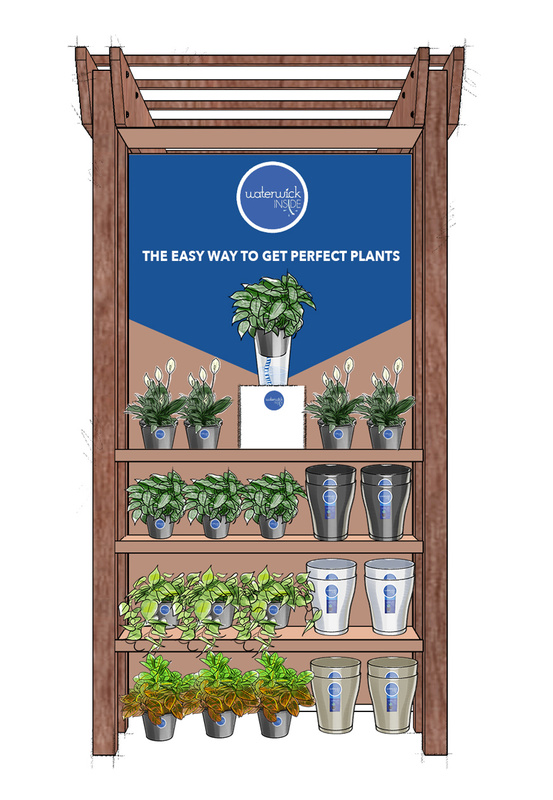 In the end, Lowes and Costa Farms chose a simple and bold approach to a new retail design and innovation platform that linked each persona to their best fitting category of indoor plants. From insights gathering to strategy to execution, ALLOY collaborated closely with Costa and Lowes to deliver a bold new customer strategy and innovative retail experience. The research provided a customer strategy and framework for Lowes and Costa Farms to align and collaborate more closely. It makes sense that they also utilize the research insights to onboard new leaders and employees as well. In response to one of their largest threats, the innovation platform offered several ways to eliminate the fears of killing plants, and helped sell-in new product lines like WaterWick, a Costa Farms innovation that provides just the right amount of water. The new products and new retail pilot programs are showing very strong performances thus far and already beginning to change the way people think about indoor plants (Pilot is currently running in southeast markets). Finally, more indoor plant owners at Lowes can say they “Love where they live”! In addition, Costa Farms is in the process of implementing a number of other initiatives that resulted from our customer strategy and innovation platforms.